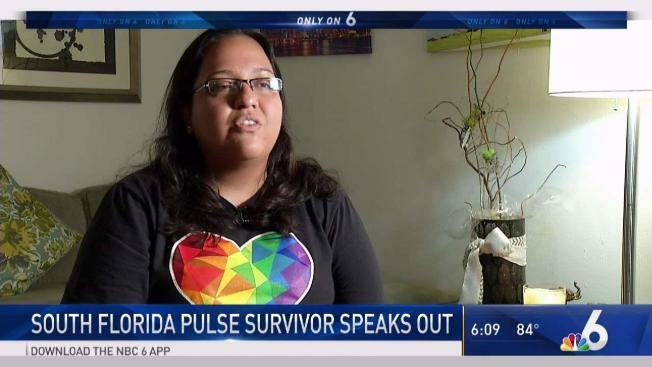 Laura Vargas reflects on the Pulse nightclub shooting two years later. Gov. Rick Scott proclaimed June 12 as Pulse Remembrance Day in honor of the 49 people killed in the Orlando nightclub massacre in 2016. The proclamation asks that all Floridians pause for a moment of silence at 9:00 a.m. ET and directs all state flags to be lowered to half-staff from sunrise to sunset. Both members of the U.S. Senate from Florida - Republican Marco Rubio and Democrat Bill Nelson - introduced a resolution honoring the survivors and commemorating the victims. Ahead of Tuesday's commemoration of the deadly attack at the gay nightclub, some survivors and victims' relatives have sued the Orlando Police Department and the owners of the nightclub. The Pomas said in a statement that they hadn't seen the lawsuit and that the focus this week should be on healing. "We ask that everyone keep the focus where it belongs as we prepare for this Remembrance Week," the Pomas said. In the run-up to the anniversary, the parents of murdered gay college student Matthew Shepard spoke in Orlando, a "rainbow run" was held in a park near the nightclub, and a play was produced based on the interviews of Pulse survivors and those around the world who responded to the tragedy. The recent lawsuits mark a departure for some of the survivors and victims' relatives since they are directed at the law enforcement response and the facility where the massacre took place. Previous lawsuits by Pulse survivors and victims' families were aimed at social media companies and the security company where gunman Omar Mateen was employed. The social media lawsuit claimed Mateen was radicalized by through propaganda found on social media and the employer lawsuit claimed the security firm knew Mateen was mentally unstable but allowed him to carry a gun on the job as a security guard.